I’m happy to announce that Post Status is teaming up with Human Made to put on A Day of REST Boston, following the successful event in London in January. This iteration of A Day of REST will include both a day long conference and workshops catered to developers interested in using the WordPress REST API. 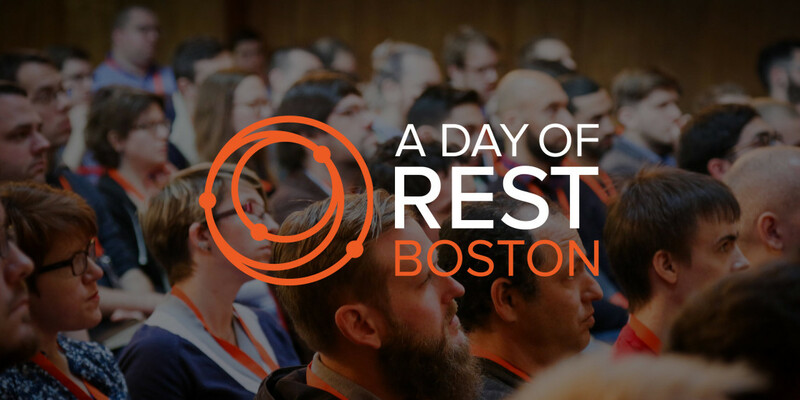 Like in London, A Day of REST Boston will have speakers from the team that is actually building the API and using it in production environments. The main event will take place October 28th, 2016 at Calderwood Pavilion. Workshops will be October 27th and October 29th. Organizers: A Day of REST Boston is put together by experienced industry event organizers from Human Made who have organized events like WordCamp London 2013 and 2015, WordCamp Europe 2013, 2014, 2015, 2016, and A Day of REST London. The primary folks from the Human Made team are Siobhan McKeown, Petya Raykovska, and Zoe Beardmore. And Post Status will be co-organizing! Speakers: Like in London, members of the WordPress REST API team itself will be speaking and participating in the event. Also, industry experts and developers who are actually using the REST API in production will be there. We’ll have a call for speakers available soon as well, as we’re seeking new and exciting examples of the REST API out in the wild, and the stories of the folks that made it happen. One of the things I’m most excited about for the Boston-based version of this event is that there will be two days of workshops in addition to the event, rather than a hack day. It was clear in London that there was demand for more hands-on activities to allow people (new and experienced with the API) to dig deeper. If you’re interested in the event and the workshops, please help us choose the most relevant and valuable workshop topics for you. Fill out the workshop survey to have your say on what should be included. One workshop day is before the main event, and the other is the day after. There will be a special limited batch of Early Bird tickets for the conference, but you have to be subscribe for A Day of REST Boston email notifications. At A Day of REST London, I was a general media partner, covering the event and I’m hosting the videos as we release them. This time around, I’m a co-organizer. I’ll be working with sponsors, throwing the after party, and covering the event to a greater degree. If you want to sponsor A Day of REST, please contact me and check out our sponsorship information package! There will also be an opportunity for people to buy a ticket for A Day of REST that includes a Post Status Club membership! I hope you’ll consider this event and sign up for updates. It’s going to be a lot of fun.